In this post we will be discussing about getting to know more about RethinkDB in Node.js. 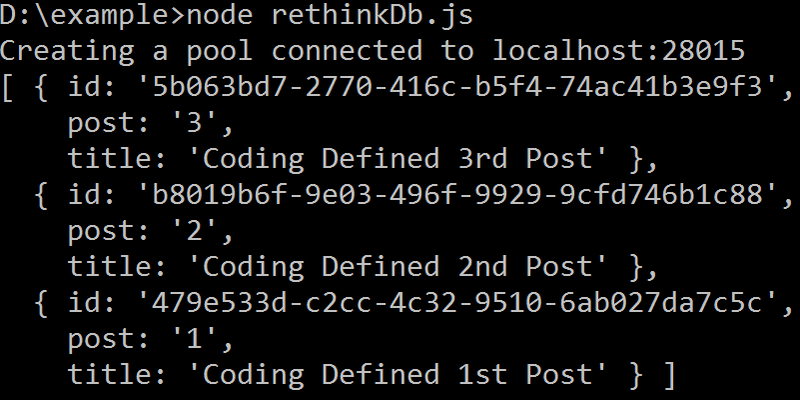 In our previous post we have discussed about Getting Started with RethinkDB in Nodejs. In this article we will be continuing our discussion on RethinkDB, which is an open-source database for the real-time web, and how it will help us to push data real time in our application. 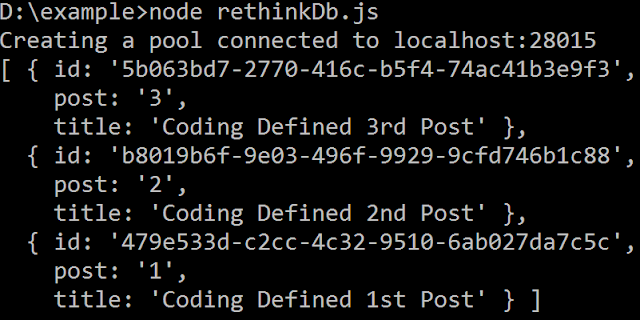 To insert data into the table in RethinkDB we will be using insert method. title: "Coding Defined 1st Post"
On thing to note here that you need not have to specify Id field which will be auto generated. If you want to you can i.e. there is no hard and fast rule that you shouldn't specify Id field. 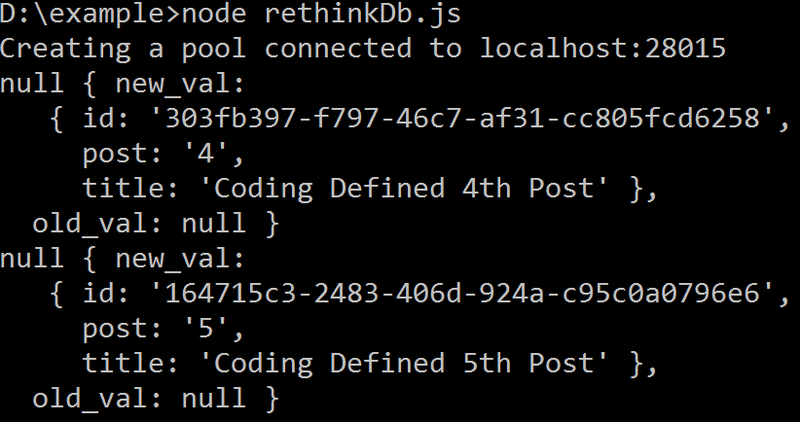 You can also check the short video which shows how the select command is refreshed whenever a new data is inserted into the table in RethinkDB.